Location: Mystic has a taproom at 174 Williams St. in Chelsea, MA, right off of the Tobin bridge. They offer sample flights, full pours and growler fills of their flagship, seasonal, and specialty beers including some brewery-exclusives. The taproom isn’t huge, but it has a small bar and a variety of seating, plenty of room to hang out with a group of friends and drink some tasty saisons. Leadoff: Have you ever wondered what a brewery would look like if it was founded by a PhD biologist with a passion for micro-organisms and the products of their metabolism? No need to theorize because that is the (extremely brief and generalized) background of Mystic Brewing founder Bryan Greenhagen. While hops and malt get most of the attention when it comes to beer ingredients if it wasn’t for the microbes that convert that malt into alcohol beer would just be strongly flavored sugar water. Belgian style ales in particular take advantage of the array of flavors that yeast can contribute to beers. Mystic has emerged as a local expert in the development of unique strains of yeast. They have had some incredible successes, from their house Renaud yeast, to Vinland strains isolated from local fruit, to their new wild ale program. Each of these strains of yeast has been used as a significant component in Mystic’s array of Belgian style ales. 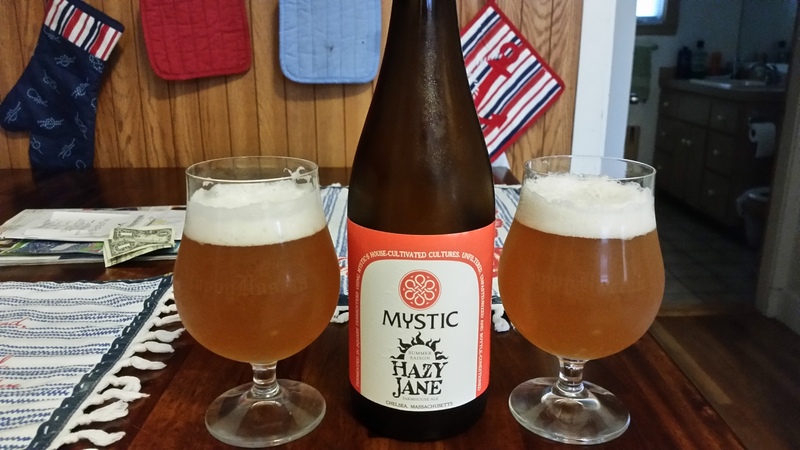 Regular readers of this blog know how much I love saisons, and Mystic makes some of the best examples of the style. Mary of the Gael: Probably my favorite beer brewed by Mystic. Bright floral and earthy hops perfectly complement the fruity and spicy notes from expressive yeast strain. The only problem I have with this beer is that it’s only available in the spring! Day of Doom: Can you think of a more appropriate name for a Belgian style quad that weighs in at 12% ABV? Tons of rich malt flavor is complemented by subtle estery notes from the yeast. This is incredibly easy to drink for a big beer, you can taste the booze but it doesn’t overwhelm the other flavors. Vinland Series: Each beer in the Vinland series is brewed with a yeast strain cultured from a different fruit grown in New England. Vinland 1 (which I am sad to say I never got to try) used plums from Massachusetts, Vinland 2 used blueberries from Maine, and Vinland 3 used raspberries from Vermont. While no actual fruit is added to the beer, you get subtle notes that are reminiscent of the fruit the yeast came from, which shows how influential native yeast strains are in our perception of flavor. It also helps that each beer in this series has been delicious, tailor made to complement the flavors produced by the yeast. I can’t wait to see what they do next! Descendant: A hybrid beer that combines the dark roasted malt bill of a Irish stout or an English porter fermented with the house Renaud yeast. The addition of molasses to the brewing process is an ode to an old New England brewing tradition. The final beer is a complex mixture of coffee and chocolate from the malts with fruit and spice from the yeast. 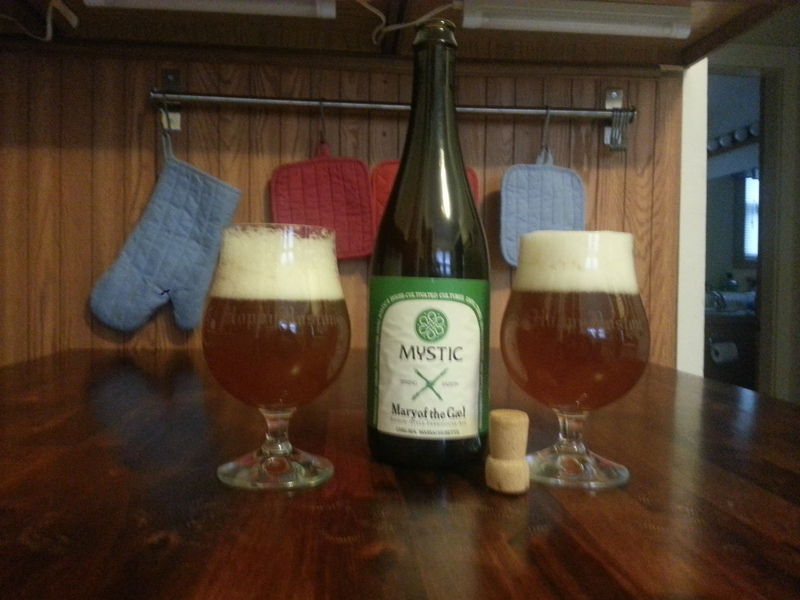 Other Beers You Should Try: Mystic’s flagship Saison Renaud is a stellar saison that showcases their house yeast culture. Summer seasonal saison Hazy Jane uses a generous dose of wheat malt along with an array of hops resulting in a flavorful and refreshing beer for the warmer months. Traditional saisons were often lower in alcohol, and Mystic pays homage to this with Table Beer, a full flavored but sessionable offering. On the other end of the spectrum is Entropy, a boozy beer which is fermented in four stages with four different yeast strains, achieving both high ABV and incredible complexity. Flor Z is a sour saison that combines fruity and spicy Belgian yeast with a mild tartness. Wild and Barrel Aged Beers: Mystic recently announced a partnership with Cambridge Brewing Company to expand bottling production and produce a series of Belgian style wild and sour ales. This is a huge commitment of time and effort, some of these beers need to age for years before they are ready to drink. 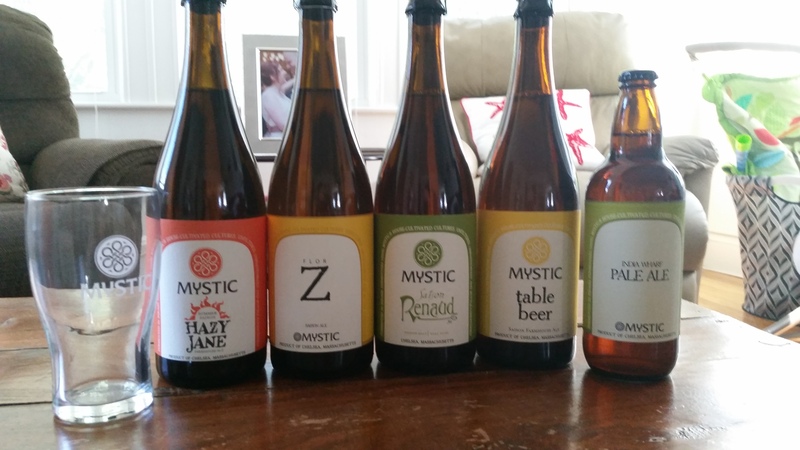 In the end Mystic will become one of the leading producers of Belgian style sours in the US, a very exciting proposition considering their expertise in extracting amazing flavor from a variety of microbes. Gruit: Mystic is one of a handful of breweries trying to revitalize the gruit style, which is essentially beer flavored with herbs/adjuncts other than hops (so technically it isn’t beer in the strictest sense). Mystic is experimenting with a number of gruits. 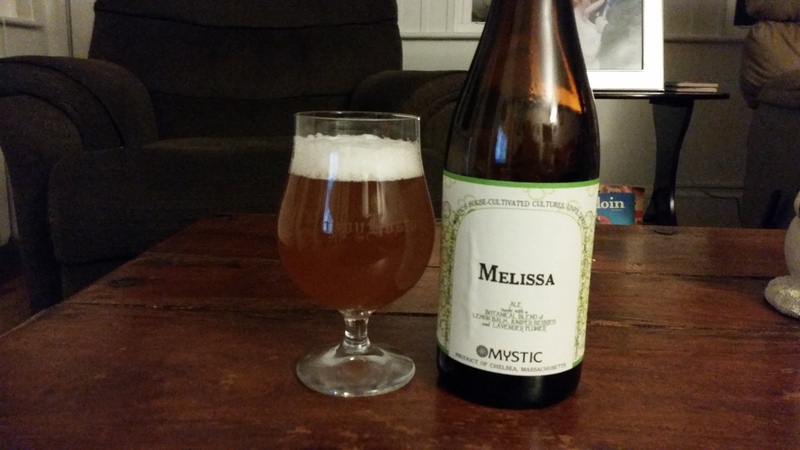 I recently enjoyed Melissa, a gruit brewed with lemon balm, juniper and lavender. Another recently released gruit is Freak Scene, brewed with honeybush and hibiscus. Wigglesworth Series: While Mystic is renowned for it’s Belgian style ales, they also brew a series of traditional bottle conditioned English ales under the Wiggleswoth label. These beers were formulated by part-owner, accomplished home-brewer and British ex-pat Alastair Hewitt. Final Thoughts: In the increasingly competitive beer marketplace it is paramount that a brewery has a calling card, something that is unique or that they do better than the competition. With their unparalleled ability to develop novel strains of yeast and use them to make delicious beer Mystic has their calling card. If you love Belgian styles, or even if you are just starting to try them, you need to make the trip to Chelsea and sample some of Mystic’s offerings. I can’t wait to see what they put out when their wild ale program gets rolling!